MIAMI—In a 10-point, three-rebound performance against the Seattle Supersonics last Wednesday, once-dominant 35-year-old Miami Heat center Shaquille O'Neal played the entire 48 minutes of regulation while standing in the same exact position inches outside the key, only occasionally shifting his arms and refusing to "walk all the way over there" to the bench for substitutions. 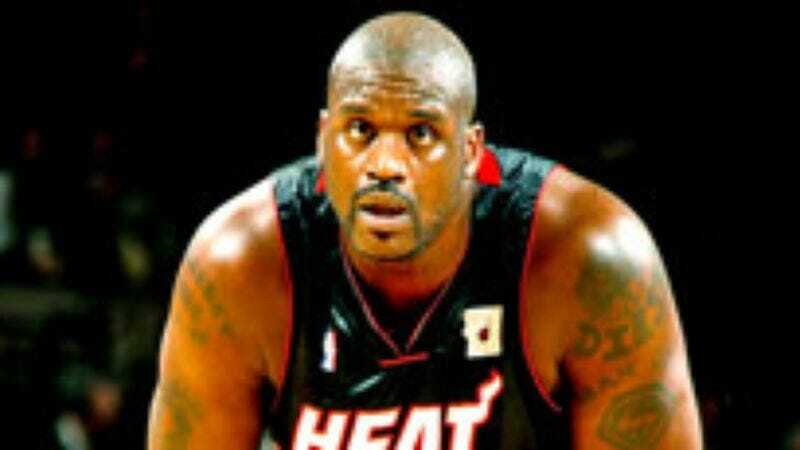 "I'm still Shaq Diesel," a hunched-over O'Neal told a group of reporters strung along the baseline of the basket while awaiting his team to return from the halftime break. "I started out as a young ninja and defeated all of the shoguns. I am The Big Shogun now, and I'm holding my spot. There won't be another one after me." After taking a moment to catch his breath, O'Neal added that he was looking forward to dominating even more in the second half, as he would then be playing defense.